Contact form is also available. Course Information Laid on picturesque southern foothill of Mt.fuji. 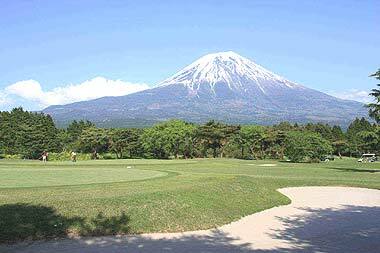 There are three different loops of 9 holes which are generally flat and all with panoramic views of the world famous Mt.Fuji. This course is an open country parkland courrse of real international standards. As it is located in the southern side of Mt.Fuji, the climate is mild here even in winter, and you may enjoy golf all the year round. This used be one of the most expensive clubs for becoming a member, club admission fee cost over 1 million US$ in the time called Buble Economy some 20 years ago. Jet and Sports Co., Ltd.
"JET & SPORTS" & "JetGolf" are trademarks of Jet and Sports Co., Ltd.
© 2019 Jet and Sports Co., Ltd.